HANOI (5 Dec 2018) – Vietnam head coach Park Hang-seo has a simple instruction for tomorrow night and that is to avoid the nightmare of 2014. Four years ago, Vietnam were in the same position against Malaysia at the same stage of the competition. They took a 2-1 advantage in Kuala Lumpur only to fall 4-2 at home in Hanoi and were denied a place in the final. “I warned them that we need to avoid a repeat of what happened against Malaysia in 2014,” said Hang-seo. 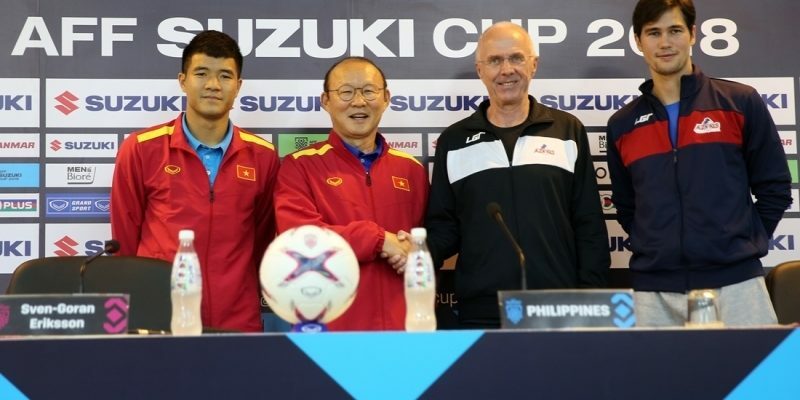 For the current edition, Vietnam hold the same 2-1 advantage over the Philippines going into the decisive return leg of the AFF Suzuki Cup tomorrow night. And while they may want to go for an outright win, Vietnam know full well that a draw would be enough to ensure their safe passage. But after playing really well in the Bacolod City in the first leg, there is a worry of the team’s pedigree playing at home. “The Philippines may be physically stronger but I think that we are mentally tougher. We have seen the videos and what needs to be done,” Hang-seo explained.